It can be difficult to do, but try to give yourselves the gift of only inviting the people who you really want to be at your wedding. Cut out the “obligatory” invites and narrow it down to the essential minimum. When it comes to catering, most places work on a “per head” basis. The less heads you have the smaller your food bill will be. Serving a High Tea type of meal at an afternoon reception is not only lovely but it will cost you less than serving a three course evening meal. High Tea meals are also a lot more fun to plan! You already know that flowers cost a lot of money. But guess what? They cost even more than the “lots” that you are already thinking. 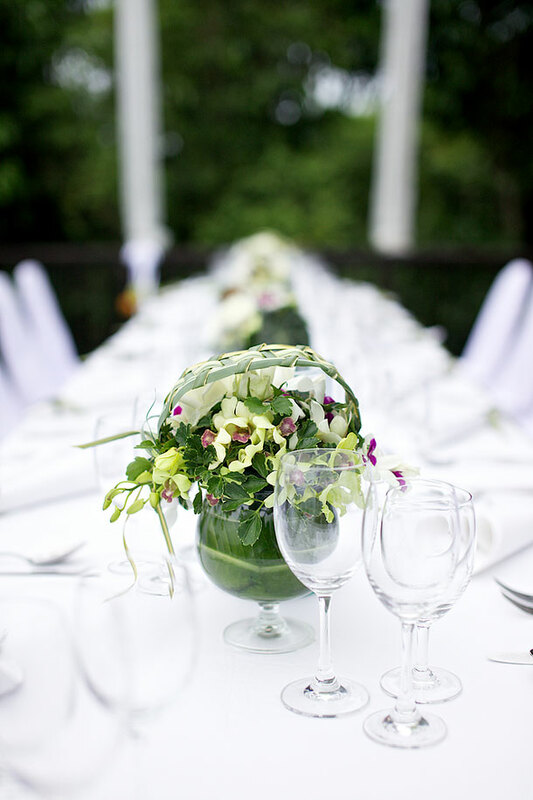 Finding an alternative to professionally made flower arrangements will save your budget a bundle. Cupcakes are still a very popular wedding cake choice and it doesn’t take the skill of a professional baker to ensure that cupcakes placed on a pretty tier look gorgeous. Investing in a good icing piper and a good cupcake stand will cost you far less than buying a “real” wedding cake and you’ll have the added bonus of being able to share your favourite cake recipe with your friends. In all your wedding details try to remember to keep it simple. There is much beauty to be found in simplicity, often more so than expensive “frillery”.